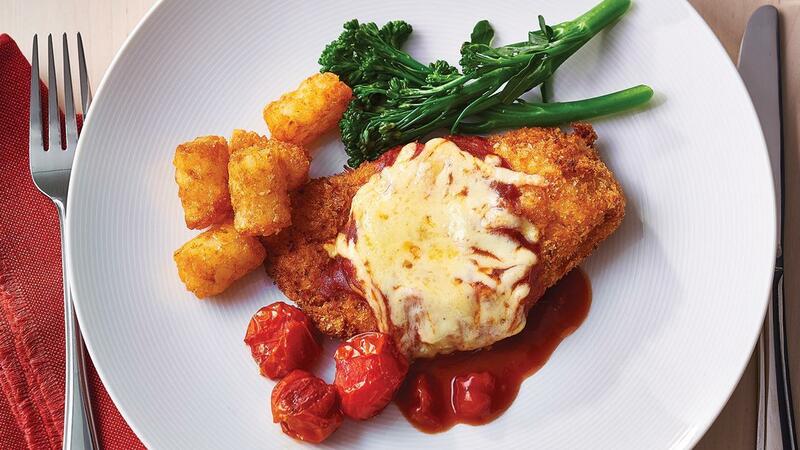 Chicken Parmigiana has been around for a long time, combining it with different sauces makes it new again. Bake or fry the chicken schnitzels. Combine the rest of the ingredients except the cheese, and bring to the boil while stirring. Pour over the sauce, add cheese and cook in the oven at 180 degrees Celsius for 5- 10 minutes until golden. Serve with Potato gems or Broccolini or Roasted Herbed Tomatoes.